When Greg and I decided to travel the world we researched anything and everything that there was to know about long-term travel. One of the best tips I read and used was the beauty of packing cubes. For those who aren’t familiar, packing cubes are thin, flexible zipper bags that hold anything you want to pack. Depending on the brand you choose, they can be made of mesh, plastic, or a sturdier material. Regardless of the size and style, here’s four reasons why you should invest in a set of packing cubes before traveling. Packing your belongings in multiple set spaces allows you to fit more things in your bag by keeping everything compact. Try rolling your clothes to save extra space, and choose lightweight items that don’t take up a ton of room. It’s easy to lose items when traveling, but organizing your travel belongings into cubes keeps your backpack or suitcase neat and organized. By sectioning out various items into different compartments, it’s much harder to misplace things. 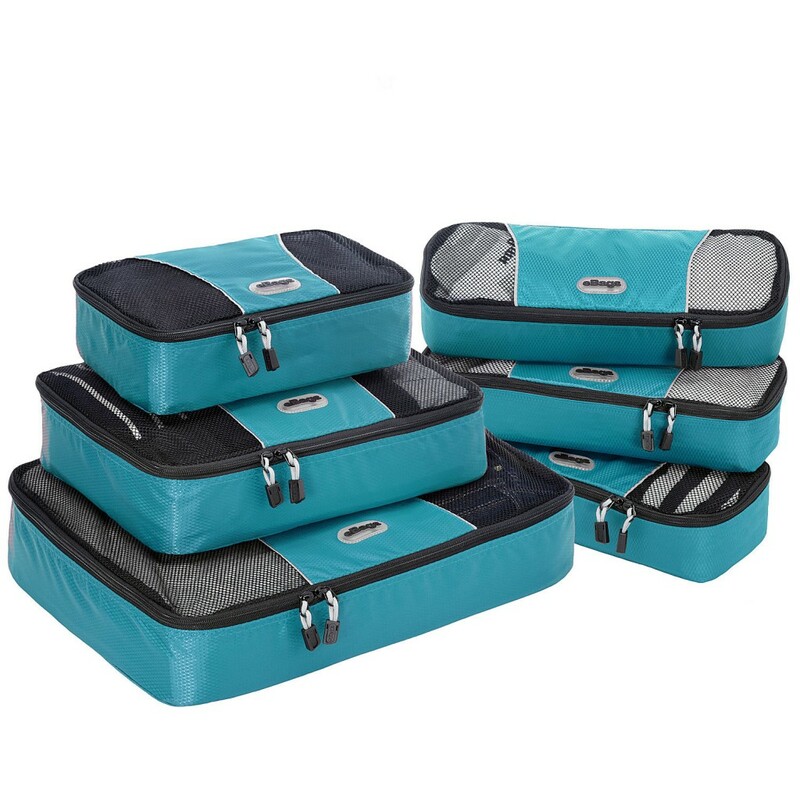 Packing cubes come in a variety of colors, patterns, and sizes, so it’s easy to tell where all of your belonging are. Say goodbye to the struggle of trying to find that one favorite sweater by knowing that it’s in a small cube with the rest of your shirts. because packing cubes are small and don’t weigh much, it doesn’t hurt to throw an extra cube or two into your backpack. We’ve used our extra cubes as laundry bags, extra separation for electronics, and as a way to separate our swimsuits if we have to travel with wet clothes. There are many ways that packing cubes will come in handy during your trip, and we highly recommend using them when packing for extended travel. To purchase a set, the best place to look is any outdoor store or on a shopping website like Amazon.com. We use eBags cubes when we travel, and find that for most situations the medium and slim cubes work best. For a detailed packing list for long term travel, check out our post here. **This post many contain affiliate links. If you purchase a product based on a link in this post, we make a small commission that helps keep this site running at no extra cost to you.